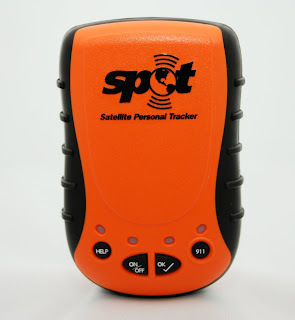 "This product truly evolved by a coincidence," explains Marcel Sibitz, marketing manager for Spot, the personal locator tracker device that has grabbed EAA member's attention at the EAA AirVenture 2008 show. "We are part of a satellite phone company that tracks and containers. 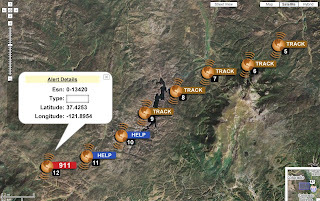 The vice president of development, Bob Bennett had an idea to put the technologies together and come up with a personal locator tracker. But it was Greg Wilkenson, our sales manager, who is a pilot, who put the aviation connection together," Sibitz says. Spot, originally developed for backpackers and back country skiers, is a natural in the airplane. "The first thing I did with it was throw it in my Cherokee 140," says Wilkenson. "It worked. When I pressed the OK button it sent a message, via text and email, to let people on my list know the lat/long of my departure and that I was OK. There's also a link to a private Google Maps page where they can track me. Hold that button down again, watch for flashing lights, and I know it has gone to tracking mode," he says. "Then it issues updates every 10 minutes or so, with my lat/long. When I reach my destination, I hit the OK button once more and it sends a message so people know I've landed safely. But that's just the tracking mode. What makes this little device great are the HELP and 911 buttons. Push HELP and you'll send out a non-emergency, 'you need to come get me' notice. It's very popular with glider pilots who might land out. Push 911 and we will activate search-and-rescue in your vicinity immediately," he says. "No wonder aviation is our fourth biggest market behind general outdoor stuff and marine boating." The unit is powered by two lithium AA penlight batteries. In standby the batteries are good for a year, and in normal use should last a couple of months. EAA members at the show can get a free unit (value $169.95) at the show just by subscribing for one year of unlimited Spot service and tracking, which costs $157.48 (including tax). The Spot unit works just about anywhere in the world (exceptions are S. Africa and India, but they are working on that). Spot is located at Booths 325-326 on the South side of AeroShell Square. Look for the orange banners. For more information visit Spot.